Critical infrastructure linked to the oil and gas industry have become increasingly vulnerable to cyber risks as digitization and lax security measures heighten the possibility of a major disruption. The Industrial Internet of Things presents new opportunities for manufacturing transformation through technology. 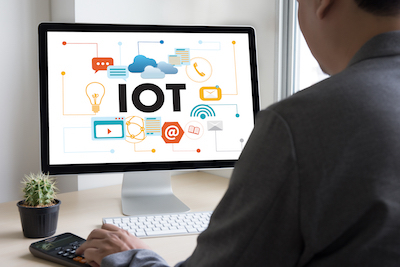 This is especially true for enterprises that harness the promise of IIoT to improve business processes and for governments that look to IIoT to improve infrastructure and the provision of vital services. IIoT has been heralded as the harbinger of the Fourth Industrial Revolution (a digital revolution characterized by the fusion of technologies, blurring the lines between the physical, digital, and biological spheres), with the potential to impact industries at a scale equal to prior advancements in steam, electrical, nuclear, and computing power. 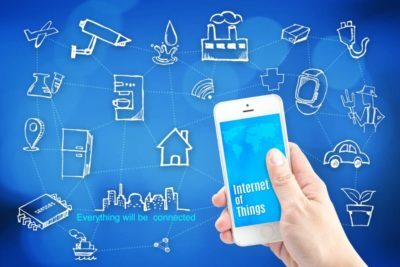 The growth in adoption of IIoT has also emboldened malicious actors to deploy stealthy sophisticated mechanisms to exploit vulnerabilities unique to IIoT systems, or derived from vulnerable components, devices, or systems that are used as part of IIoT services. 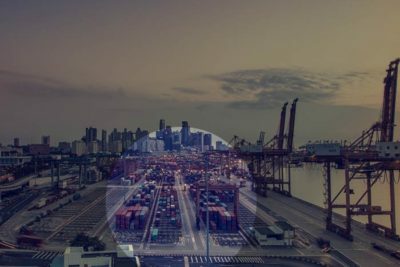 The sheer scale and inextricable interconnectedness of IIoT further compound the safety and security risks into actual physical threats, exposing the potential for catastrophic harm. 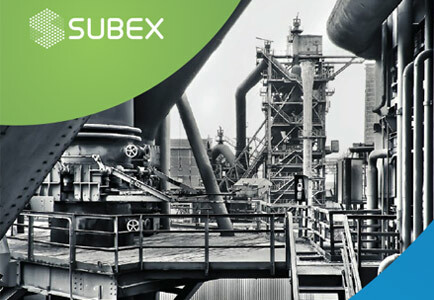 Subex can help secure your connected manufacturing assets and data. Through our solutions, consulting and managed services offerings, we can defend such your IIoT deployments from a range of attacks. Only Subex Secure can protect your business from new attacks as our threat database is updated real-time through our global honeypot located in 48 cities across the globe. Select CountryAfghanistanAlbaniaAlgeriaAmericanSamoaAndorraAngolaAnguillaAntigua and BarbudaArgentinaArmeniaArubaAustraliaAustriaAzerbaijanBahamasBahrainBangladeshBarbadosBelarusBelgiumBelizeBeninBermudaBhutanBosnia and HerzegovinaBotswanaBrazilBritish Indian Ocean TerritoryBulgariaBurkina FasoBurundiCambodiaCameroonCanadaCape VerdeCayman IslandsCentral African RepublicChadChileChinaChristmas IslandColombiaComorosCongoCook IslandsCosta RicaCroatiaCubaCyprusCzech RepublicDenmarkDjiboutiDominicaDominican RepublicEcuadorEgyptEl SalvadorEquatorial GuineaEritreaEstoniaEthiopiaFaroe IslandsFijiFinlandFranceFrench GuianaFrench PolynesiaGabonGambiaGeorgiaGermanyGhanaGibraltarGreeceGreenlandGrenadaGuadeloupeGuamGuatemalaGuineaGuinea-BissauGuyanaHaitiHondurasHungaryIcelandIndiaIndonesiaIraqIrelandIsraelItalyJamaicaJapanJordanKazakhstanKenyaKiribatiKuwaitKyrgyzstanLatviaLebanonLesothoLiberiaLiechtensteinLithuaniaLuxembourgMadagascarMalawiMalaysiaMaldivesMaliMaltaMarshall IslandsMartiniqueMauritaniaMauritiusMayotteMexicoMonacoMongoliaMontenegroMontserratMoroccoMyanmarNamibiaNauruNepalNetherlandsNetherlands AntillesNew CaledoniaNew ZealandNicaraguaNigerNigeriaNiueNorfolk IslandNorthern Mariana IslandsNorwayOmanPakistanPalauPanamaPapua New GuineaParaguayPeruPhilippinesPolandPortugalPuerto RicoQatarRomaniaRwandaSamoaSan MarinoSaudi ArabiaSenegalSerbiaSeychellesSierra LeoneSingaporeSlovakiaSloveniaSolomon IslandsSouth AfricaSouth Georgia and the South Sandwich IslandsSpainSri LankaSudanSurinameSwazilandSwedenSwitzerlandTajikistanThailandTogoTokelauTongaTrinidad and TobagoTunisiaTurkeyTurkmenistanTurks and Caicos IslandsTuvaluUgandaUkraineUnited Arab EmiratesUnited KingdomUnited StatesUruguayUzbekistanVanuatuWallis and FutunaYemenZambiaZimbabweland IslandsAntarcticaBolivia, Plurinational State ofBrunei DarussalamCocos (Keeling) IslandsCongo, The Democratic Republic of theCote d'IvoireFalkland Islands (Malvinas)GuernseyHoly See (Vatican City State)Hong KongIran, Islamic Republic ofIsle of ManJerseyKorea, Democratic People's Republic ofKorea, Republic ofLao People's Democratic RepublicLibyan Arab JamahiriyaMacaoMacedonia, The Former Yugoslav Republic ofMicronesia, Federated States ofMoldova, Republic ofMozambiquePalestinian Territory, OccupiedPitcairnRÃ©unionRussiaSaint BarthÃ©lemySaint Helena, Ascension and Tristan Da CunhaSaint Kitts and NevisSaint LuciaSaint MartinSaint Pierre and MiquelonSaint Vincent and the GrenadinesSao Tome and PrincipeSomaliaSvalbard and Jan MayenSyrian Arab RepublicTaiwan, Province of ChinaTanzania, United Republic ofTimor-LesteVenezuela, Bolivarian Republic ofViet NamVirgin Islands, BritishVirgin Islands, U.S.
© Copyright SUBEX 2019. All Rights Reserved.